One thing I personally appreciate deeply is how Bill Gates does engage to make a difference in the world, not only with technology but also in very basic aspects. The image below alone says it all… Seeing one of the richest and most powerful person in the world normally speaking with poor persons, understanding their basic needs and really trying to help and make a difference. Fifteen years ago, Bill & Melinda Gates made a bet. Bill & Melinda Gates started their foundation in 2000 with the idea that by backing innovative work in health and education, they could help billions of people improve their lives. The progress they’ve seen so far is so exciting that they are doubling down on the bet Bill & Melinda Gates made 15 years ago. 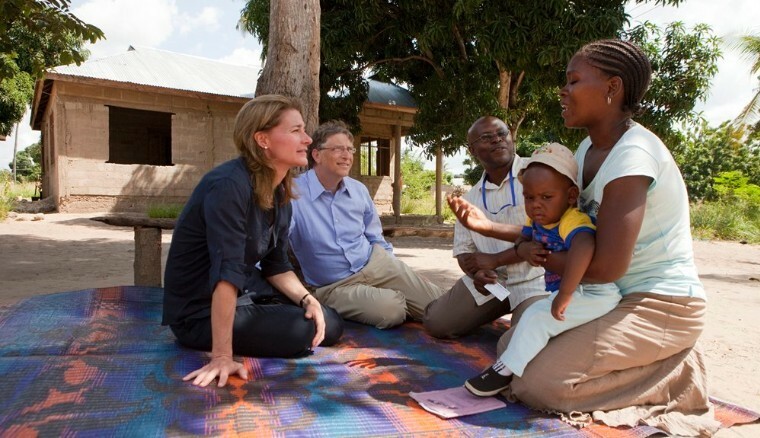 Here’s Bill & Melinda Gates bet: The lives of people in poor countries will improve faster in the next 15 years than at any other time in history. They’re putting our credibility, time and money behind this bet because they think there has never been a better time to accelerate progress and have a big impact around the world. First, child deaths will go down by half. In 1990, one in 10 children in the world died before age 5. Today, it’s one in 20. By 2030, it will be one in 40. Almost all countries will include vaccines for diarrhea and pneumonia, two of the biggest killers of children, in their immunization programs. 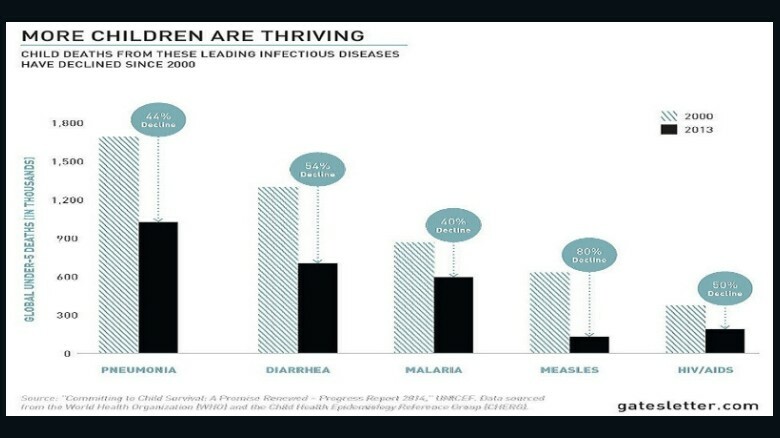 Better sanitation will cut the spread of disease dramatically. And they’re learning how to help more mothers adopt practices such as proper breastfeeding and skin-to-skin contact with their babies that prevent newborns from dying in the first month after they’re born. Even as climate change makes farmers’ job more difficult, they can get them enough innovation and information to increase productivity by 50% for the continent overall. Countries like Ghana are also building better roads and adopting policies that make it easier to move food to the places where it’s most needed. In 15 years, Africa will still import food when it makes sense to do so, but it will also export much more, eventually achieving a net positive trade balance. You can show your support by signing up at www.globalcitizen.org, where you can learn how to get engaged and connect with other organizations working to make 2015 a historic year. Bill and Melinda Gates believe (and I also do believe) that informed, passionate people can work together to make the world a more equitable place. In fact, we’re all betting on it.